Ma Gash Intl was founded in 2005 by a large group of friends from Geneva who loved Reggae Music and had been going to reggae and dancehall nights for several years. The group grew and made it up to eight members including several mcs, selectors, operators, designers and more. Ma Gash first got known in Geneva City by playing monthly at a club called K-Bar located in Artamis. The crew started promoting dancehall parties inviting many sounds from Geneva and other Swiss Cities, and was soon invited to play in other parts of Switzerland as well. Having studied Reggae Music and the Sound System Industry for many years, Ma Gash always showed interest in Soundclashes and won the first Geneva 45’ Clash in 2006, which they won again in 2008. The crew also came in second the next year in the Matterhorn Cup Clash, counting 12 sounds from the whole of Switzerland. In 2009, Ma Gash won the Geneva Soundclash, playing dubplates and specials from dozens of artists. A few months later they also won the first Mountain 45 Shoot Out in Verbier, Switzerland. The crew also started to promote MàD Sat’Day who rapidly became the number one regular dance in Switzerland with a strong fan base reaching more than 500 people every single time. In 2010, Ma Gash was again on the war scene and won a Maccabeez Clash in Brooklyn New York and also won the BADDA DAN CLASH in Biel, Switzerland! This year, the crew also started their own web radio playing live every tusedays at 9pm europe time. The radio is broadcasting 24/7 the old episodes and was soon featured on the iTunes web radio directory. After a few months only the radio made it up to 30000 monthly listeners from all over the world. In 2011, Ma Gash played more than 100 nights in Switzerland and all over the world. They also participated in the Time To Shine sound clash featuring the most promising sounds from Europe. The first edition of the Ma Gash Birthday Festival was kept and it will probably stays as one of the most successful reggae event to ever touch Geneva. In 2012, Ma Gash went twice on the battlefield, both time in Italy. They also played several times in Jamaica, including a memorable two hours dub fi dub with the legendary sound BASS ODYSSEY. A new weekday regular dance was also born, JIGGY JIGGY THURSDAYS every last thursday of the month at the Chat Noir. In 2013, Ma Gash won the third edition of the Kingdom Clash in Sion against the famous french sound Guiding Star. Later the same year, Ma Gash won an historic clash in Trinidad & Tobago by locking off one of the world most renowned sound system from New York, LP International. In 2014, Ma Gash launched their iOS application available through the Apple Store in an effort to reach a more and more larger audience. They also won the EUROPE vs USA clash in New York, defeating TEK 9 by lock off. 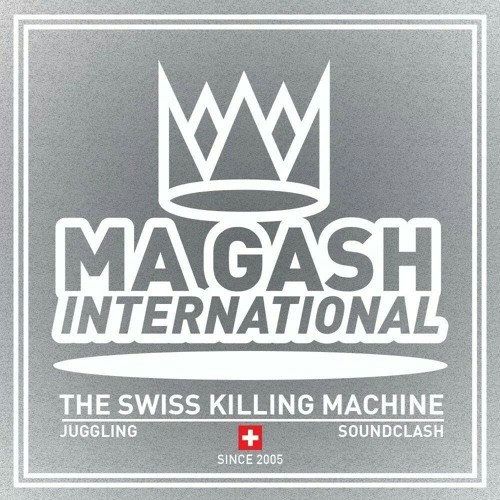 As of today, Ma Gash is still keeping both MàD Sat’Day and Jiggy Jiggy Thusrdays every month being one of Geneva’s top promoter as well as Switzerland’s No 1 Sound. Ma Gash Intl is always ready to mash up any dancehall with their finest selection going from the old hits to the brand new tunes from Jamaica.